Despite the pious name for the New Orleans NFL franchise, Saints they are not. Over the past decade, the New Orleans Saints have apparently been a morally corrupt organization. Reports of coaches paying players to hurt opponents in exchange for monetary compensation were bad, but not as troubling as the ones which indicated that various high-ranking members of the organization had been notified by the league to stop such practices more than a year prior to when it did. Suspensions were handed down to current head coach Sean Payton and former coordinator Gregg Williams (having since left for the St Louis Rams), keeping them from the side-lines from their respective teams next season (and potentially beyond). 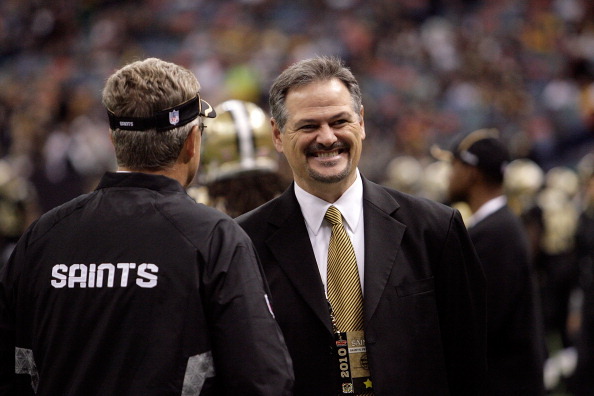 Saints General Manager Mickey Loomis also received a suspension, unable to perform his duties as General Manager of the team for the first eight games of the 2012 campaign. Not only did Loomis act against the wishes of team owner Tom Benson when he failed to shut down the bounty program, but he lied to investigators in 2010 when they sought information about the program. That’s hardly the extent of the moral corruptness by Mickey Loomis. Reports have now surfaced that Mickey Loomis is guilty of illegally eavesdropping on opponents audio transmissions during games. 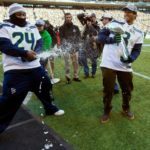 The statute of limitations on such activities which amount to spying on opponents have apparently surpassed (5 years for federal, 6 years for state), but he has broken the trust of his NFL brotherhood. After the transition from Mueller to Loomis, the electronic device was re-wired to listen only to opposing coaches and could no longer be used to listen to any game-day communications between members of the Saints’ coaching staff, one source said. “There was a switch, and the switch accessed offense and defense,” said the source. “When Randy was there, it was the Saints offense or defense, and when Mickey was there it changed over so it was the visiting offense or defense,” the source said. The sources said when Loomis took his seat during home games, then in the front row of box No. 4 in the 300 level of the Superdome’s north side, he was able to plug an earpiece into a jack that was under the desk in front of him. The earpiece was not unlike those used to listen to inexpensive transistor radios, the sources said. With the earpiece in place, Loomis could then toggle back and forth with a switch that he controlled, enabling him to listen to the game-day communications of either the opposing offensive or defensive coaches. Though that eavesdropping program reportedly ended 7 years ago (the attorney general’s office is still investigating), how can any other teams travel to New Orleans to play the Saints, knowing that their host has been guilty of such sanctity-violating practices in past years and the same man – MICKEY LOOMIS – is still at the helm of the team as its Executive Vice President and General Manager? It’s clear that Mickey Loomis has questionable judgment. If the New Orleans Saints wish to continue their relationship with him in such a meaningful role, then they are accepting the fact that he taints the perception of the entire franchise with the decisions he has made over the past decade. If Loomis continues to serve in his current position – or any other position of prominence with the team – I will refer to the New Orleans NFL franchise by the name “Saints” only in a sarcastic manner. It’s shameful that NFL fans who rooted for the Saints in the aftermath of Hurricane Katrina were actually cheering for a team built on morally corrupt practices.